Fabulous retro shopping finds - Antiques, modern products with a vintage style to them, home decor, candles, toys, jewelry, clothes, dishes, and more. I am determined to keep Spring alive! I love the style of this Dutch Flora Gouda Holland - Lila series on Etsy. The color is so spring, but the design of the floral pattern is very retro. Take a look! Can you see why I really enjoy the style of the floral pattern? The colors are very delicately painted, but compliment each other well. 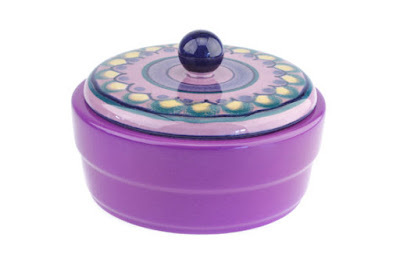 A purple ceramic bowl like this would be great for storing jewelry. I can also see myself using this for hot soups at parties. 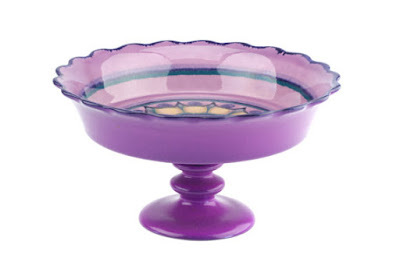 I love baking and would love to display a cake using this footed bowl pedestal dish. It would be really fun to display a whole bunch of candy in as well. 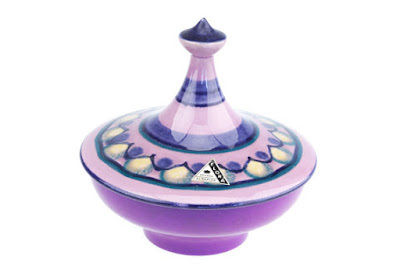 I actually wish the floral pattern was printed on the outside instead of the inside of the bowl. It's still stunning nonetheless. I have never used a glazed ceramic tray like this before. I'm so glad the design is on the outside on this one! The shape is really interesting. It would be a cool way to store maybe your fruit for an outdoor get-together. I personally would use this for my jewelry, it's so funky! Check out Dutch Flora Gouda Holland - Lila series on Etsy. This will surely add that spring feeling that you've been looking for! Retro Shopaholic is a participant in the Amazon Services LLC Associates Program, an affiliate advertising program designed to provide a means for sites to earn advertising fees by advertising and linking to Amazon.com.